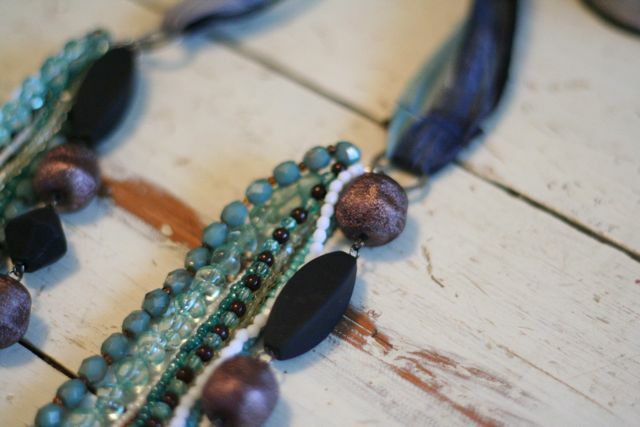 I have been enjoying taking apart jewelry and putting together different necklaces and beads that you wouldn’t think necessarily go together but when put together they look amazing. 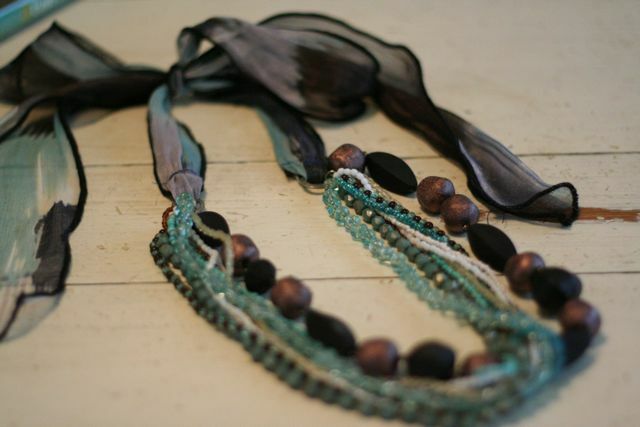 Here is one of my 100% recycled necklaces that I recently finished. I took apart a belt for the metal rings, used two necklaces after I took the clasps off, and then I cut off the two ties from a dress that no longer fits. Combining those made this necklace. Look through your stuff and see what you can add together to make some amazing jewelry. This entry was posted in Check this out!, DIY, I made this!, Recycled, repurpose, tutorial on June 23, 2010 by Deanna. This is great! I can’t get enough of your ideas. Time to publish a book! I agree with Becca’s idea. Time for you to write a book. I love that necklace Dee. You are so talented.